Staged car crash promotes road safety in Airedale. The demonstration, which involved a passenger getting cut from the vehicle, was organised by local Wakefield partners including Airedale, Ferry Fryston and Townville Management Board, Wakefield Council’s Road Safety Team, The Community Awareness Programme and WDH, and aimed to raise awareness about the dangers of driving at speed and driving under the influence of alcohol to local residents. 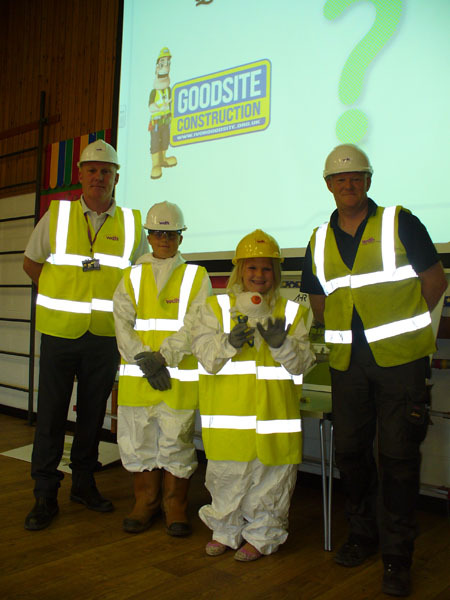 In the lead up to the event Sally Holdsworth, WDH’s Tenant Involvement Officer worked with the group to help promote road safety in Airedale on social media, encouraging people to come along on the day to find out more. 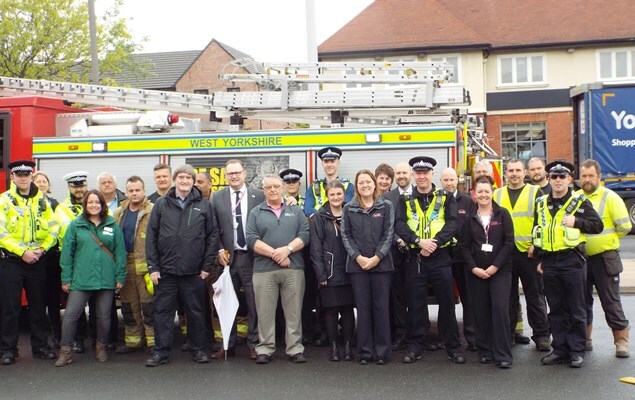 At the ‘scene of the crash’ were members of the local Fire and Rescue Service and West Yorkshire Police who conducted the demonstration, talking onlookers through what happens when dealing with a road traffic accident of this nature and how it is investigated afterwards. Attendees were also able to find out information regarding road safety and support from staff throughout the morning. Mike Dixon, Chairman of the Airedale, Ferry Fryston and Townville Management Board, said: “The car crash re-enactment was a huge success with over 250 people attending. It highlighted the dangers of driving whilst under the influence of alcohol or drugs as well as driving outside the national speed limits.